Autumn has arrived and at lunch time, I have been in the mood for something a little more warming than a sandwich, so have been opting for soup. 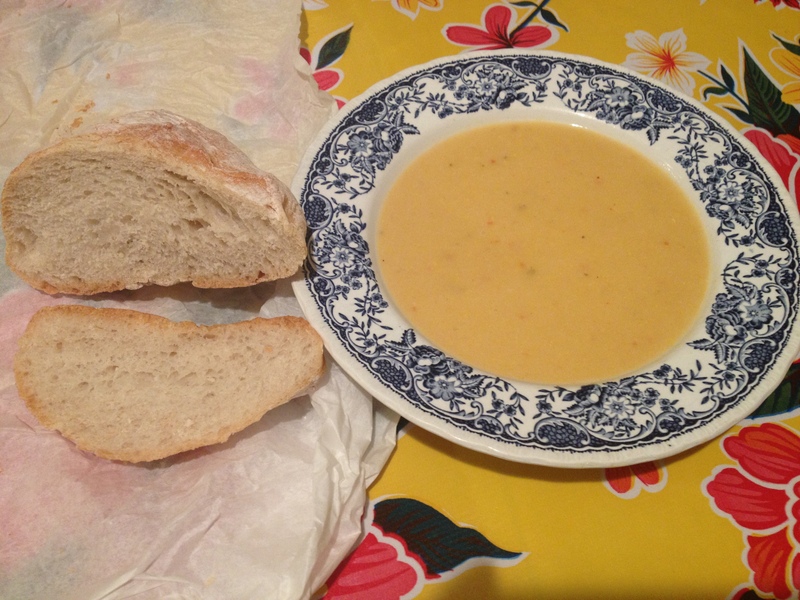 Pret do a lovely range and last week I had a delicious corn spicy soup nearly every day. At £2.99 a pop, I started to feel a bit poor and I especially resented spending the money knowing I can make 4-6 portions for roughly the same amount. Feeling inspired, I decided to try to re-create it and I am pleased to say I did a fine job. The recipe is below. Freezing – Freeze once cooled – defrost over night or in microwave. I like to freeze individual portions so they are ready to take to work. 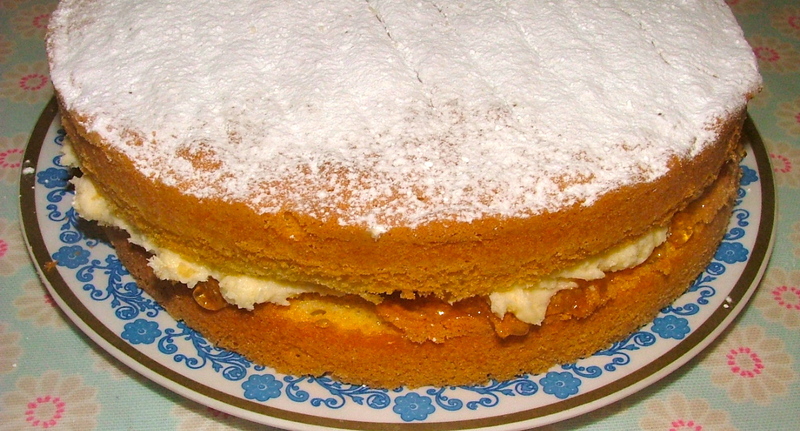 I like to call this my Tropical Victoria Sponge. I made this recipe up and baked it for the first time today. Unfortunately the photo does not do it justice but I would urge you to give it a try as it is delicious, even my husband who doesn’t like coconut, liked this. The fact that you can only see half the cake is testament to its yumminess, as we ate half before I even got round to photographing it. Heat the oven to 180c, Gas Mark 4. When sponges have cooled take one cake and turn it over so the browner side is on top, place it on a plate or cake stand (I wish I had remembered to use mine! ).